It is pretty obvious that the Sanfermin fiestas are a big annual event for the city of Pamplona. The novelty lies in the fact that now someone has come up with a means of measuring the repercussion that such grand events have for each city that holds some such event. And it seems that the Sanfermin fiestas obtained such a high placing that only the annual soccer games between Real Madrid y Barcelona achieve a higher rating. Who were the voters? More than one thousands councillors and other such representative citizens from all the provincial capitals from around the state who responded to the study in December 2015. In the study, the Sanfermin fiestas become the best-loved and reference event for the city of Pamplona. The ratings received in the study places the Sanfermines among the best events rated by the municipal councilors and the citizens themselves. Only the football games between Real Madrid F.C. and Barcelona F.C. receive a higher rating and repercussion for their cities. Pamplona shares the same rating given to the annual carnival event of Santa Cruz de Tenerife as it also does with the Feria de Abril in Seville. 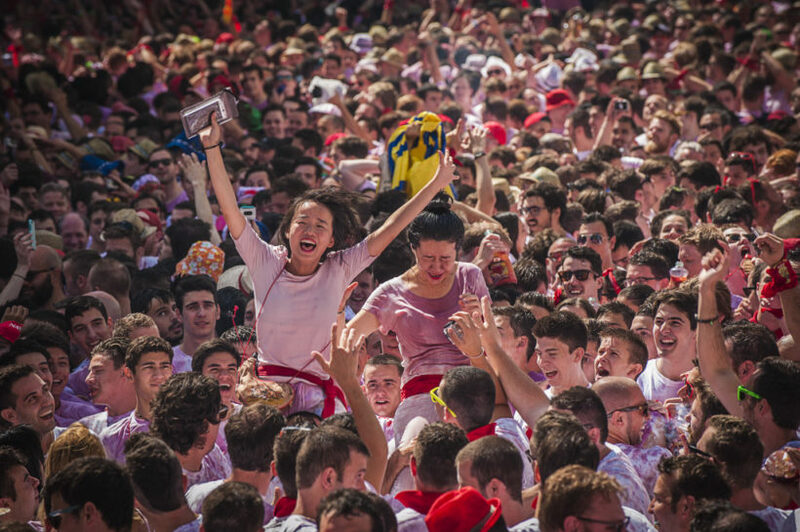 The Sanfermin ratings given by those who took part in the study for Pamplona puts the annual July event higher than other events such as The Fallas in Valencia, the Orgullo Gay event or the , the World/Cellular Congress or the Live BBK Festival. The Instituto Coordenadas de Gobernanza y Economía Aplicada is currently developing the term “Marca Ciudad” (‘City Trademark) and it carries out studies in order to discover and measure the elements that go to make these ratings up, among other considerations and projects that they do.